I´ve been to Barcelona this year and totally fell in love with this city, so I thought I should share my must-see places for this beautiful city with you. 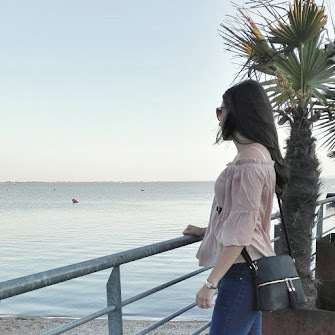 As so many of you loved the blogpost about Ireland (find it here), you´ll hopefully like this blogpost too. After my stay in Barcelona I´ve already told you where I´ve been to - in my Travel diary Part I and my Travel diary Part II, but I always like it better when I have a concrete conclusion of the places that are worth a visit, because I also love to read blog articles like that when I plan I trip. I hope that for some of you it might be helpful. 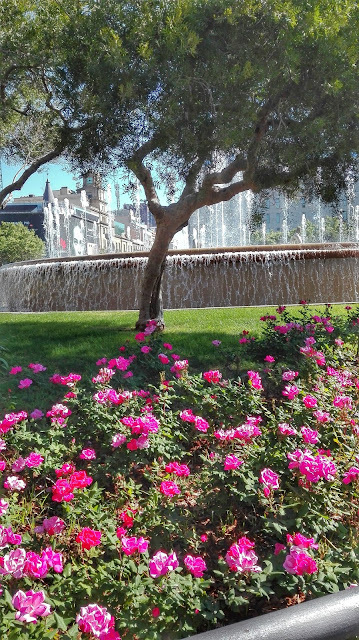 Placa Catalunya: Central place in the town which some important streets around. Ramblas starts there and also the Cathedrale is not far away. Ramblas: If you are in Barcelona the Ramblas is definitly a must-see place. 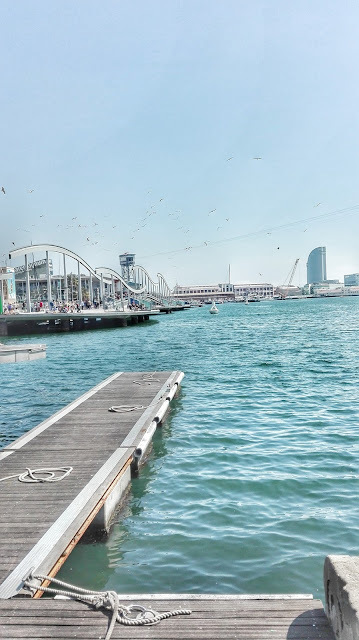 You can walk towards from Placa Catalunya, down the Ramblas to the harbor- big recommodation. Mercado de la Boqueria: Typical spanish market hall, directly located at the Ramblas. Wide range of different offers, for example: fresh fruits, oil, cheese, honey, sweets, and everything that you could wish for. Harbour: Starting point for boat tours, but there are also a hotel, a huge shopping centre, restaurants and more. Cathedral of Barcelona: for everyone interested in churches and religions - wonderful and big cathedral right in the city center (take care: entry for free, but for some reason there is a fee to pay only at specific times). 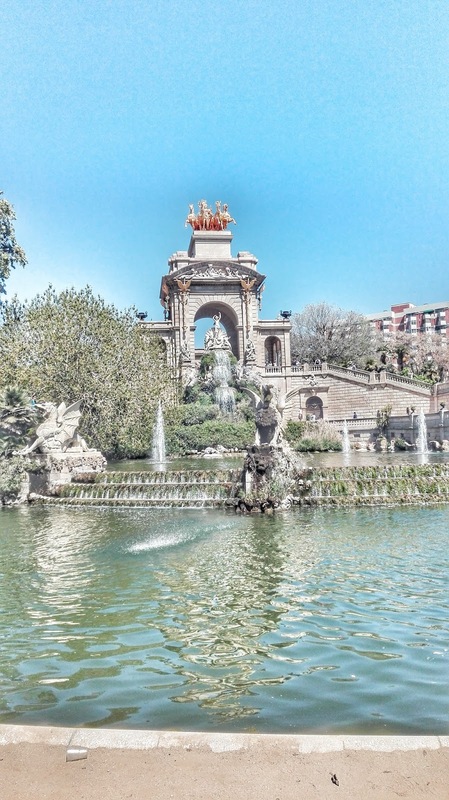 Parc de la Ciutadella: only a short walk from the cathedral. Big park with a little lake inside where you can rent a boat and cruise around the park area, but also with different fountains. 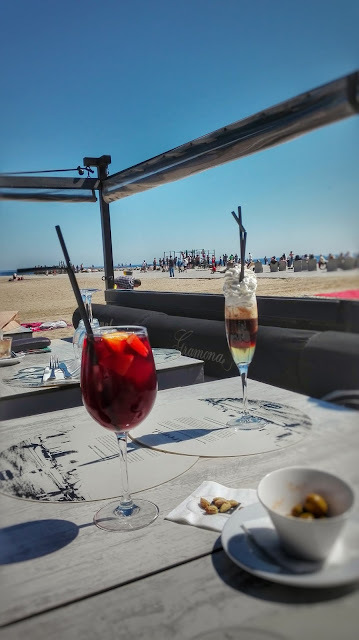 Beach Barceloneta: A giant beach directly in the city, something that I absolutely love about Barcelona, because it offers a city experience and a beach holiday in once. Hint: Go, sit down at one of the beach restaurants and enjoy the amazin view while having some Sangria. La Pedrera: One of Gaudis buidlings, an architectural masterpiece with view to Sagrada Familia. Expensive, but sure worth a visit. Sagrada Familia: Even if you don´t want to buy a ticket you HAVE to see the Sagrada Familia from outside, because it is one of Barcelonas´s most known building and soooo pretty. Park Güell: Also built by Gaudi the park offers many hidden corners which need to be explored and also a marvellous view over Barcelona. Font Magica: Amazing light and music show at Placa Espanya- only in summer. Poble Espanyol: Definitly a big recommodation! It´s called the spanish town, because it is an outdoor museum where you get to see how old spanish houses lookes like and how people lived in Spain many years ago. Have you ever been to Barcelona? If yes, did you like the city? 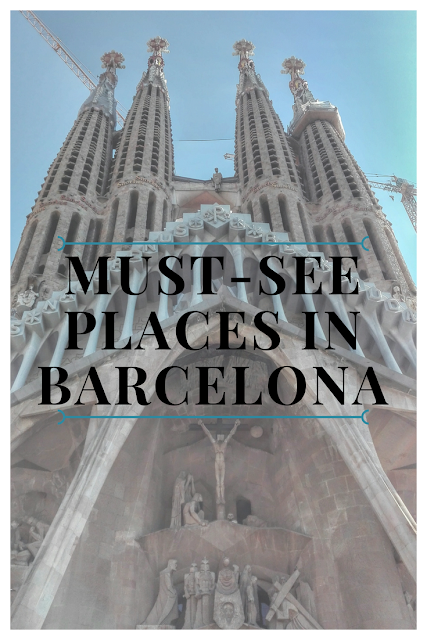 What are your must-see places in Barcelona? 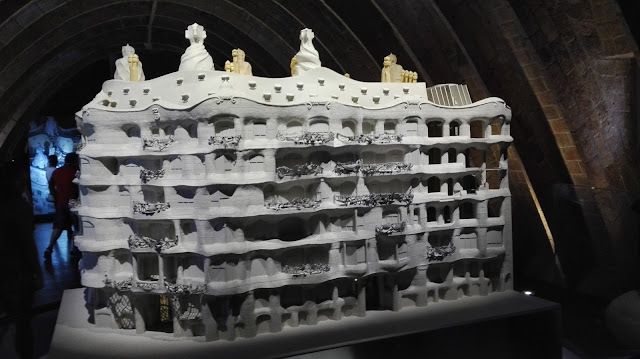 A small modell of La Pedrera that you can see at the exhibition.